Full disclosure: I nearly submitted to this anthology, but I was working on getting a draft of No Marigolds in the Promised Land in the can. But for the same reason that novella is partly dedicated to the memory of Andre Polk, this anthology was born. A little background. On Facebook, there is a collection of groups under the heading of Space Opera. The main group can be a contentious, sometimes cliquish lot, and I’ll cop to piling on sometimes. Hey, I can’t look at cat pictures at work all day. But on the writers group, there was a breath of fresh air named Andre Polk. Andre was working on his first novel. He loved the creative process and often got our juices flowing by tossing out his Question of the Day. This could be anything from “What makes us human?” to “How do we know what we see and feel are real?” Responses ranged from the snarky to the thoughtful to the pretentious, but more than a few plot threads, stories, and snatches of dialog came from Andre just asking a simple question. We loved Andre because, even though he had yet to finish his novel, he was the best of us. Andre, however, was fighting a battle. He had sickle cell anemia and spoke often of it. Yet he seldom complained. It was like a chronic condition to him, like diabetes or fibromyalgia or arthritis, a struggle but not immediately fatal. Until it was. One evening, he left a message telling us he had to go into the hospital. Nothing serious. Just figure out a new treatment because he was having problems. On his own wall, it was one of the few times any of us had ever seen him angry. To him, sickle cell was like that obsessed troll on the Internet that would not go away. He was going to beat this thing. I don’t think anyone who’d been in Space Opera: Writers more than a couple months didn’t come away in shock and sadness. I’m tearing up typing this as I remember the night I learned he died. It was like a light had gone out, and it would never, ever be replaced. ﻿ But even in death, Andre brought out the best in us. I dedicated my serialized novella to his memory (along with a childhood friend who’d just lost his wife in a car accident). The group as a whole stepped up and put together an anthology in his memory, the proceeds going to Andre’s family to help defray medical costs. 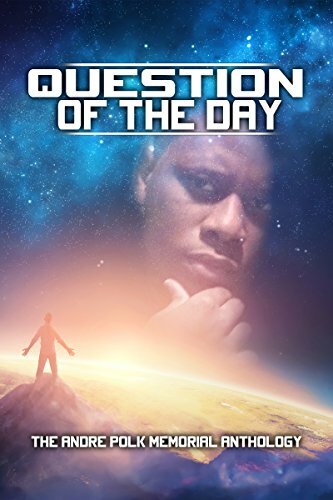 Appropriately, it starts off with a story, “To Meet Others,” in which Andre is a character, a consciousness stored in a starship’s computer who convinces his fellow disembodied travelers that there’s still more universe to explore. That was Andre in a nutshell. The rest is a collection of stories where the SO denizens show off who they are prompted by questions from Andre that he had posted in the short time we knew him. I won’t do an entire run-down here, but I’ll hit the most memorable ones, starting with BJ Muntain’s “Outside.” In it, a dome dweller led to believe all that existed beyond his encased world was ruin and pestilence only to find a sense of normalcy in a world we ourselves would recognize. There are more, and if you’re familiar with some of the authors on Space Opera: Writers, it won’t surprise you that many of these are of a military bent. Half the writers also contributed to the anthology Explorations: War, which I reviewed here a few months back. Not surprising. For me, it was like sitting in a bar listening to some old friends spin answers to the questions posed by Andre Polk. You can bet we all hoisted one in his honor. Andre, we miss you terribly.